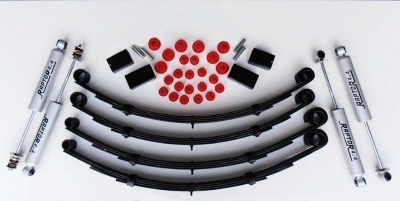 This kit is best solution to load the car, and make long travels offroad. 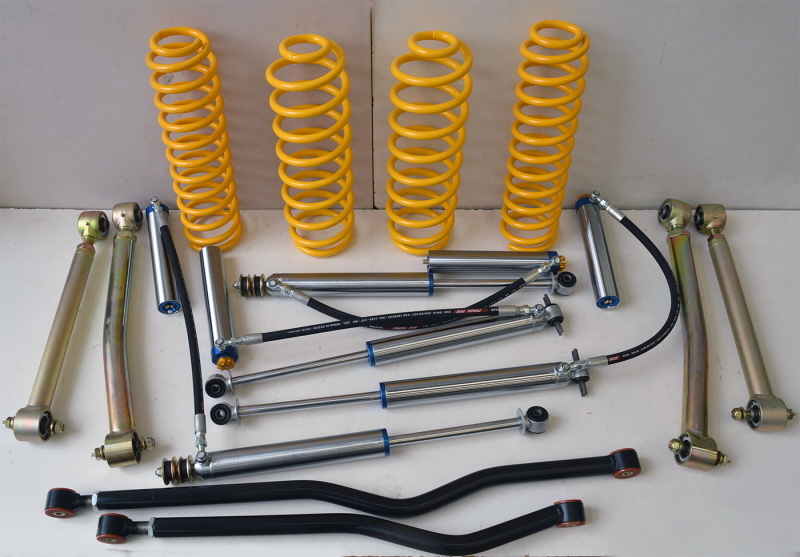 Advice: in case of gasole Jimny choose this kit. 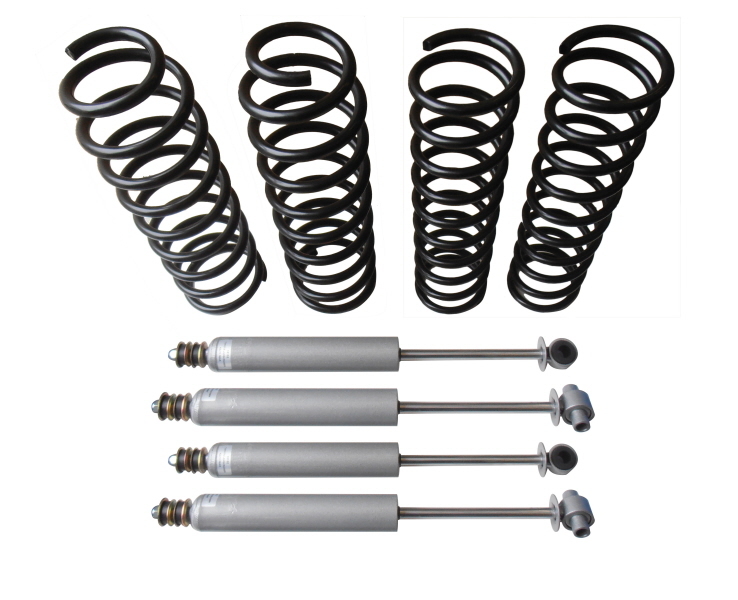 Suitable for: L/R Defender 90, Discovery I, Range Rover Classic. 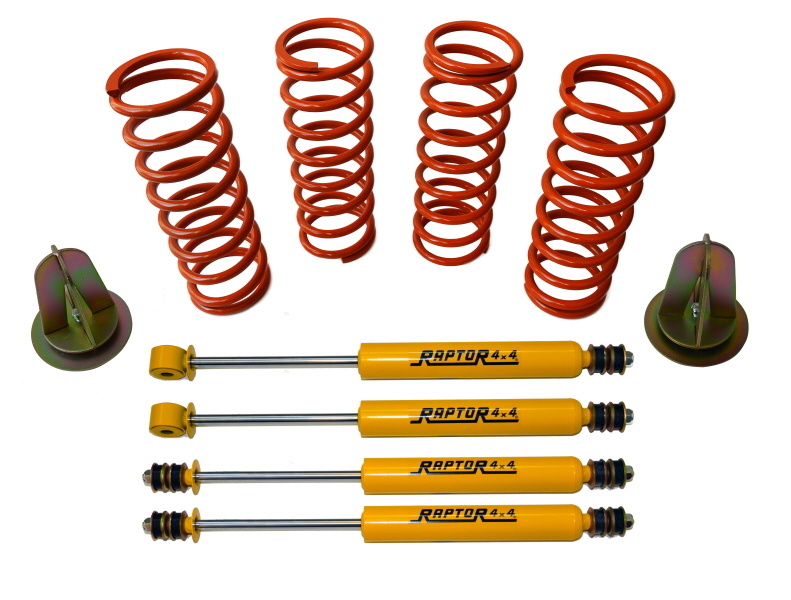 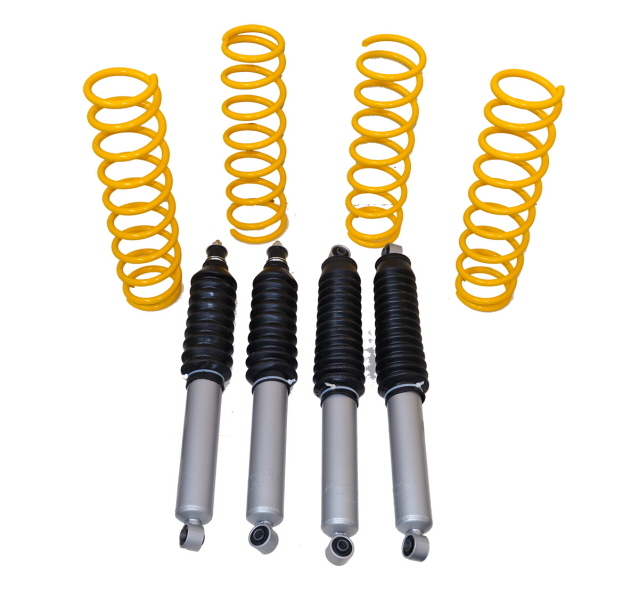 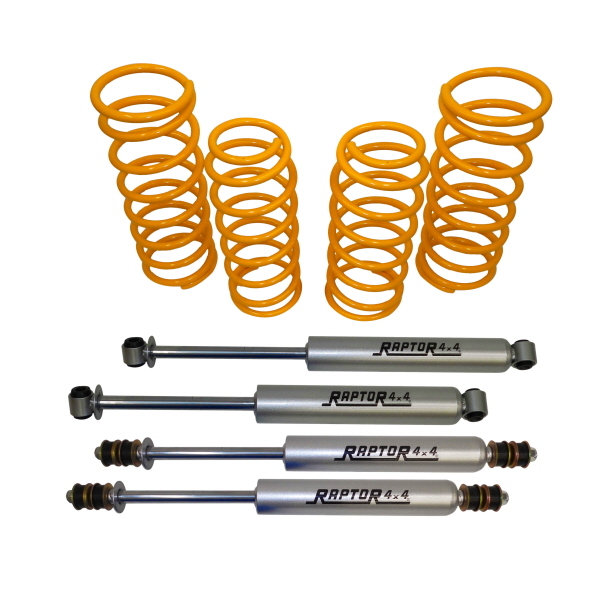 TIGER HD SUSPENSION LIFT KIT +2"
Kit include: 4 HD springs, 4 yellow shocks absorber. 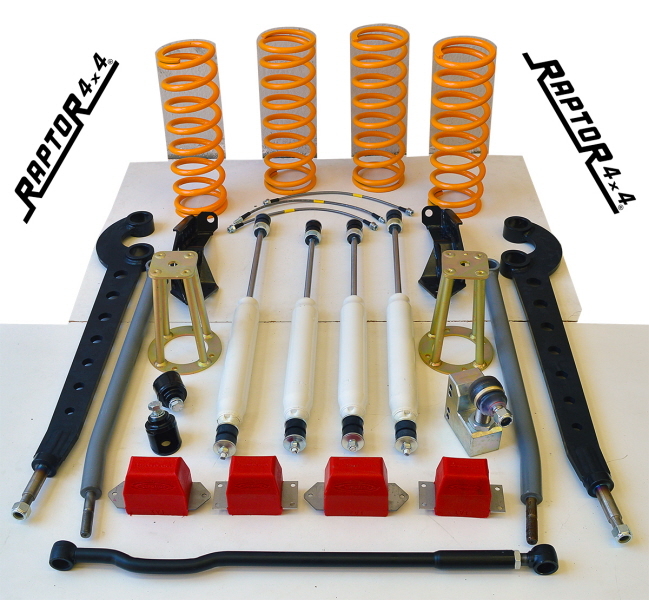 This kit is developed for HD uses, high loading and long travels with Defender 90, Disco I, RRC. 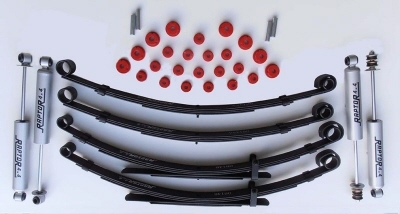 Dislocation cones are not included, click option to buy with kit. 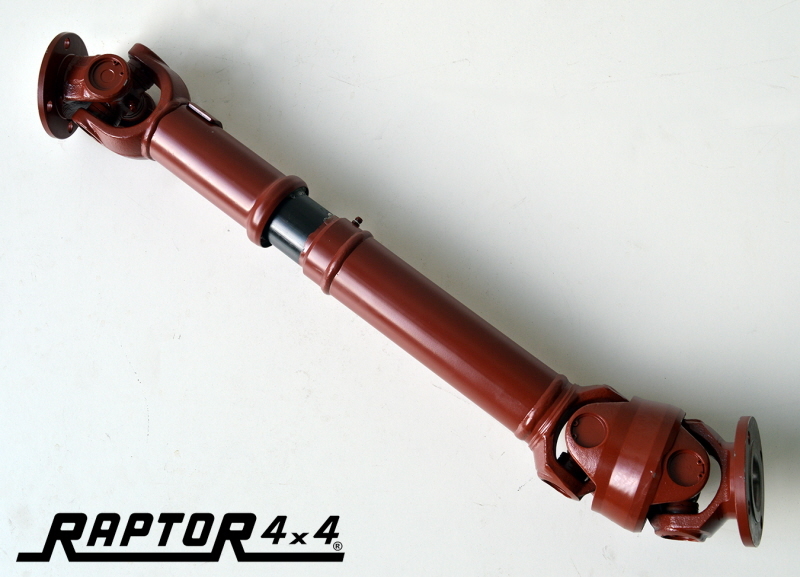 For Toyota LJ 70 round lamp. 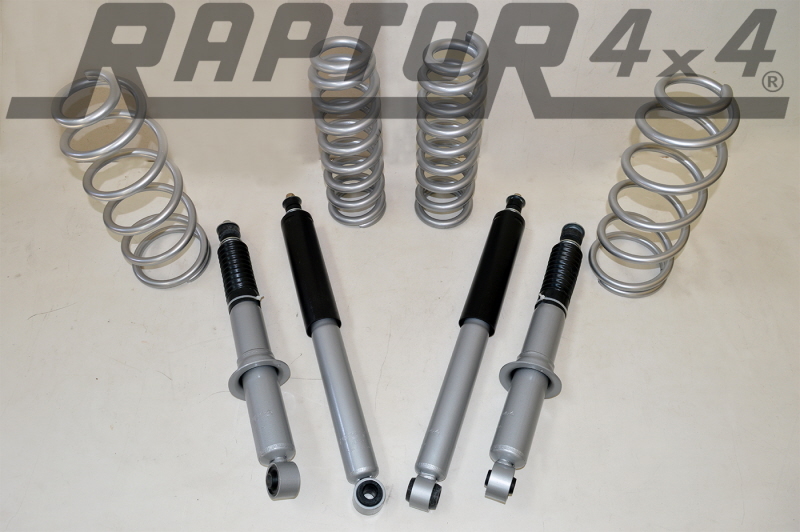 - 4 leaf springs Raptor 4x4 +2"
- 4 shocks absorber Raptor 4x4 +2"
- 4 leaf springs Raptor 4x4 +3"
- 4 shocks absorber Raptor 4x4 +3"
SUSPENSION LIFT KIT +10 CM "EXTREME"
Extreme kit +10cm lift, best solution for offroad uses in the wood and in particular in extreme trial. 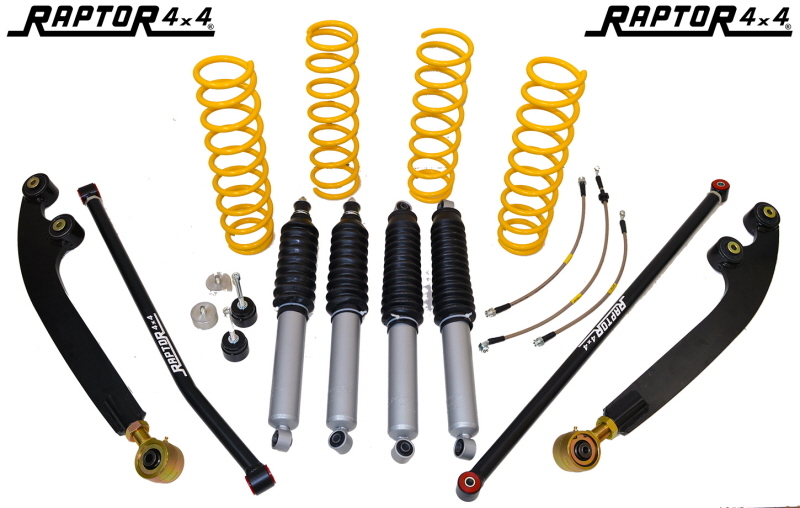 All the suspensions components powered by Raptor 4x4 gives to the kit also a perfect driving also on road.